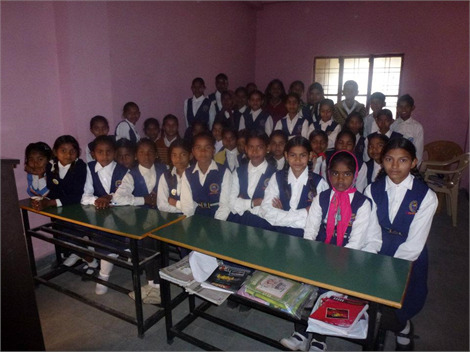 The Gwalior Children's Charity raises money to help poor and destitute people in Gwalior, India. Although our main focus is on orphan children of Gwalior who are disabled and have been abused and neglected and vulnerable families, women and the elderly. Our projects aim to give the children of Gwalior, and where possible their families, independence by providing the skills, education and healthcare required to break their cycle of poverty and live a better life. It is our aim for Snehalaya to become completely self-sufficient. We have drilled bore holes to provide fresh drinking water, cultivated 15 acres of land and we rear dairy cows and poultry to provide food. We are making good progress but we are a long way off from being 100% self-sufficient, with electricity production being our biggest and most costly hurdle. We are also committed to advocating on behalf of the children in our to local government. We believe that welfare services must be improved in the long term but recognise the difficulty of achieving this. Gwalior and Chambal region (population of nearly 11 million, some 90% rural and remote cut off from urban stream) is one of the least developed areas in central India, rendered further backward by centuries-old dacoity problems, exploitation of lower strata and land eroded by chambal and sindh ravines, where farming alone has been and is at present the main occupation of its people. We are motivated to provide a loving, caring, safe life full of dignity for the residents in our care. We believe that children should not suffer abuse, regardless of their physical or mental ability, gender, caste or social status. Whilst there are already institutions such as government run orphanages that ‘look after’ abused, disabled and destitute orphans, our projects aim to use the expertise of local, national and international experts to help children live the life they want to. As an example, Radha, came to us in 2004, as a 4 yrs. old girl, who has been abandoned. We found her in moribund state almost dying/gasping brought to Mercy home. Mercy Home is a government run orphanage centre on the outskirts of Gwalior and unfit for its purpose, lacking in trained and compassionate staff and resources. She was admitted in hospital and treated successfully. During investigations, she was found to be HIV positive, which we believe was the reason for her abandonment. There was no treatment available for her when she first arrived at the Mercy Home. Keeping her there, meant there was a risk of the virus spreading given the inadequate functioning of the Home. There was a risk for other children at Mercy home (as most of the children there are not capable of understanding the issue because most they have profound learning deficiencies and mental illness. To see a video of the conditions of the Mercy Home please click here. 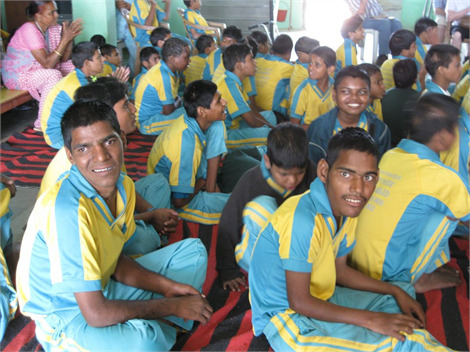 Since opening the Snehalaya Campus, on the 23rd of August 2006, Radha, and other children from the Mercy Home have been living as a family enjoying normal childhood undergoing education, care and treatment without any discrimination or isolation.